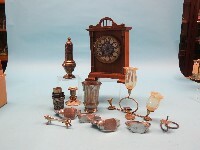 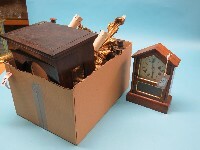 A 19th century Teutonia mantel clock, in architectural walnut case, with key and pendulum, 11in., a dark oak clock hood, 13in., carved wood twin-light wall sconce, candelabrum, etc. 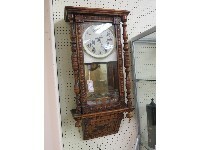 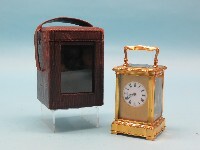 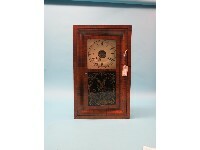 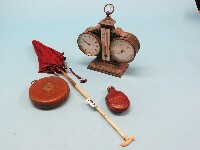 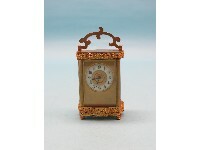 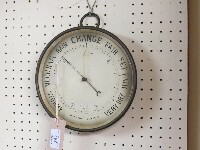 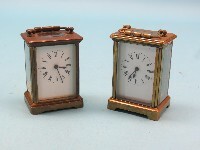 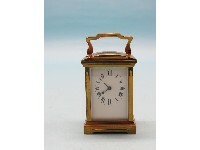 A late Victorian walnut mantel clock, with aesthetic ceramic dial, French timepiece movement, 10in. 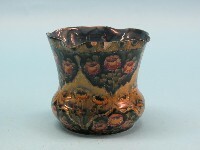 high, set of four aluminium cockerel napkin rings, etc. 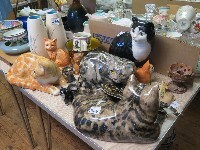 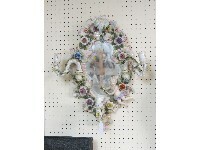 Three large Winstanley ceramic cat models, other ceramic animals, pair of Eastgate vases, horse brasses, etc. 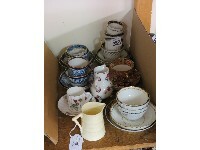 Two Royal Doulton stoneware jars, other teaware, two pairs of embroidered slippers, etc. 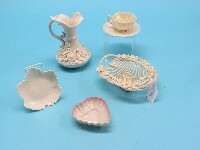 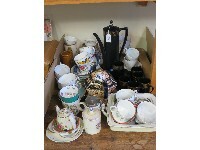 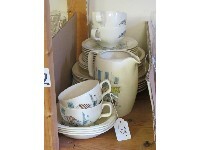 A Poole pottery coffee set, small Poole condiment set, other china, glass measures, etc. 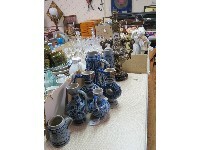 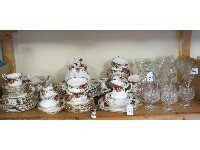 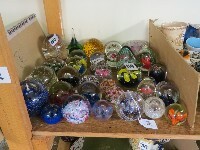 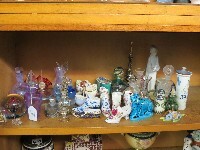 Decorative china, including table bells and posy vases, together with three glass decanters, modern boxed glassware, etc. 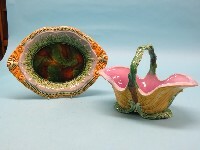 A Victorian majolica basket, leaf-moulded with loop handle, 12.5in., and a similar dessert dish, oval-shape, both predominantly in green and ochre, latter 14in.